Though the size and scale of Tanzania may be overwhelming, the people make it a personable and easy-going place to visit. The bigger cities not only offer good connections to the main natural attractions, but also feature bustling markets where locals sell fresh produce, snacks, and crafts. Smaller villages retain their long-held customs, beliefs, and artistic traditions. With the continent's highest peak, and some of the most animal-rich safaris available, Tanzania holidays tend to dart between the big and bold, and the personal and low-key. Tanzania is in Africa. 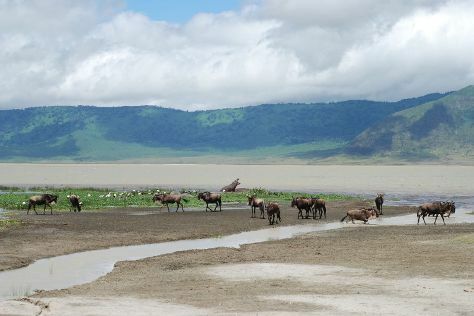 To arrange what you want to do in Tanzania, use our Tanzania trip planner.